Angioedema is an allergic reaction. It causes swelling and welts in the deep layers of the skin. Angioedema can sometimes occur along with hives. Hives are an allergic reaction in the outer layers of the skin. Angioedema can range from mild to severe. Painful welts can develop on the face. Angioedema can also occur on other parts of the body. In severe cases, the inside of the throat can swell and make it hard to breathe. 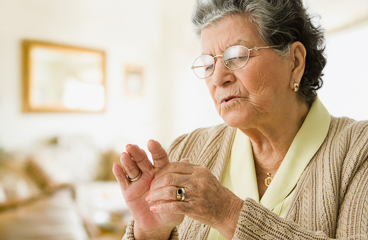 Many things can cause this condition, including foods, insect bites, and medicines (such as aspirin and some blood pressure medicines). It also can run in families. Sometimes you may know what caused the reaction, but other times you may not know. Take your medicines exactly as prescribed. Call your doctor or nurse call line if you think you are having a problem with your medicine. You will get more details on the specific medicines your doctor prescribes. Some medicines used to treat angioedema can make you too sleepy to drive safely. Do not drive if you take medicine that may make you sleepy. Avoid foods or medicine that may have triggered the swelling. Try taking a cool bath. Or place a cool, wet towel on the swollen area. Your doctor may prescribe a shot of epinephrine to carry with you in case you have a severe reaction. Learn how to give yourself the shot and keep it with you at all times. Make sure it has not expired. Enter J831 in the search box to learn more about "Angioedema: Care Instructions".